On the 28th of October 2018 the Czech Republic celebrated the 100th years of its statehood: in 1918 Czechoslovakia declared its independence from the Habsburg Empire to create a union of the Bohemia, Moravia, Slovakia and Carpathian Ruthenia provinces. The new country was a multi-ethnic state. In the years from 1939 to 1945 the state formally did not exist but its government-in-exile continued to operate. Czechoslovakia was part of the Eastern Bloc from 1948 to 1990. The “Prague Spring“, 50 years ago this year, was a period of political liberalization, which was forcibly ended with the invasion of Soviet and other Warsaw Pact troops on the 21st of August 1968 was remembered this year all over the Czech Republic. Czechoslovaks peacefully disposed their government in the “Velvet Revolution“, in 1989, when communism ended all over Europe, and a national dream had come true when in 1991 the last Soviet Forces withdrew. On the 1st of January 1993, Czechoslovakia split peacefully into the two sovereign states of the Czech Republic and Slovakia in what was referred to as the “Velvet Divorce“. In 1999 the Czech Republic joined NATO, and became a member of the European Union in 2004. What is the “political dream“, of the people in the Czech Republic today? 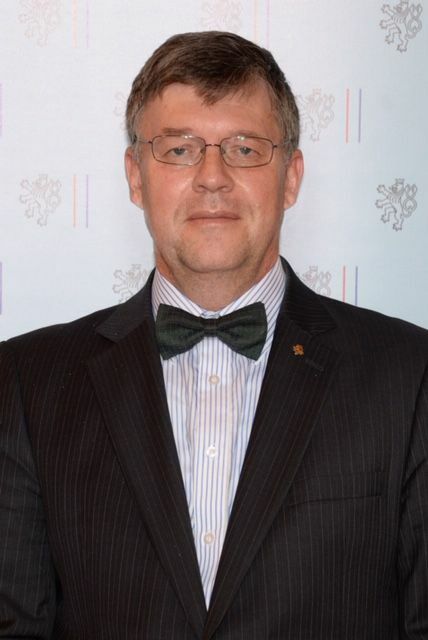 The Czech Ambassador, H.E. Juraj Chmiel, will speak to us about the current “Czech Dream“.